Before going forward though, let's take go back for a moment to help set the stage to see where things might be going in the future. A little over a three years ago, back in November 2009 VCE was born and initially named ACADIA by its proud parents (Cisco, EMC, Intel and VMware). Here is a post that I did back then. BTW the reference to Zen might cause some to think that I don't how to properly refer to the Xen hypervisor. 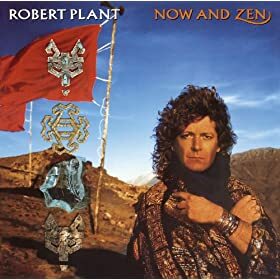 It is really a play from Robert Plants album Now and Zen and its song Tall Cool One. For those not familiar, click on the link and listen (some will have DejaVu, others might think its new and cool) as it takes a look back as well as present, similar to VCE. VCE stands for Virtual Computing Environment and was launched as a joint initiative including products and a company (since renamed from Acadia to VCE) to bring all the pieces together. As a company, VCE is based in Plano Texas just north of downtown Dallas and down the road from EDS or what is now left of it after the HP acquisition The primary product of VCE has been the Vblock. The Vblock is a converged solution comprising components from their parents such as VMware virtualization and management software tools, Cisco servers, EMC storage and software tools and Intel processors.